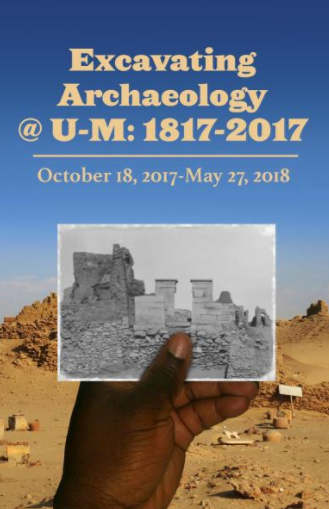 This exhibition explores the history of archaeology and museums at the University of Michigan for the past 200 years and looks forward to the future of archaeology and museums at Michigan in the coming century. The exhibition relies on carefully chosen objects, archival documents and images, and other illustrative materials to examine moments in the history of the University of Michigan’s involvements in archaeology and the location of archaeology in the museum environment. Opening lecture on October 18 in the Pendleton Room at the Michigan Union from 6:00 pm – 7:15 pm. Reception to follow at the Kelsey Museum from 7:30 pm – 8:30 pm. Kelsey Museum location and hours of operation can be found here.